Cisco CCIE Data Center Certification recognizes practitioners with the skillset and provison to plan, design, implement, support and manage complex data centers of the organizations. They are qualified for expert roles who can manage the advanced data center environments on cutting-edge technologies. CCIE Data Center Certification is one of the most distinguished and renowned certifications for data center domain. Experts with CCIE DC Certification are in the technical leadership role having expertise in a wide scope of latest technologies and industry’s finest practices. Data Center is the Future! With the million tons of data being uploaded every day, the need of data centers is profound, creating more jobs and requiring all the more CCIE Data Center experts to manage them. The shift of documents to online platforms has radically increased the number of data centers extremely, expanding the Scope of CCIE Data Center Specialists. With evolving technology and demand for paperless offices, there has been a vast requirement of CCIE Data Center experts in India creating an immense scope of CCIE Data Center in India. By the constant increase in the demand for Data Center Jobs, CCIE Certifications has become a benchmark for hiring candidates in the companies. CCIE DC Certifications gives you the entry to the door of your dream company, plus increases your salary exponentially. Following are the few use cases. A Network Engineer of 2 years of experience will be earning around 3 LPA. Doing CCNA, CCNP and CCIE Data Center Certification with one more year of experience will increase his/ her salary to 7-8 LPA. Further, after 5 years, his/ her salary will be 18-22 LPA. A CCIE Certified Network Engineer with 2-3 years of experience with salary 3 LPA can increase his salary exponentially to 11-12 LPA within a year after his CCNA, CCNP and CCIE Data Center Certification. Further 5 years in line, his/ her salary will rise to 22-28 LPA. Reimagine your career with CCIE Data Center and give a kick-start to it. Start with CCIE Data Center Course, an attempt for its examination and earn the certification. To earn CCIE Data Center Certification, you need to qualify CCIE DC Examinations. There are two examinations for this certification. CCIE DC Written Examination: This is a 2 hours long examination which recognizes the knowledge of the candidate in the concepts and equipment commands of complex data centers. CCIE DC Lab Examination: This examination is divided into 2 parts, that is, a Diagnostic module of 1 hour and Configuration & Troubleshooting module of 7 hours. Every CCIE Expert needs to recertify their certification in every 2 years to maintain their active status by clearing any CCIE Written Examination or CCIE Lab Examination or CCDE Written Exam or current CCDE Practical Exam or, CCAr interview and the CCAr board review. As above said, earning the certification is not a piece of cake and requires you to do CCIE Data Center Course to qualify for its examinations. Being the highest level of Data Center Certification, CCIE Data Center V2 Training is one of the most challenging training of Cisco Certifications and demands a lot of your time and efforts. It is recommended to do your CCIE DC Training from the best CCIE data center institute there is. Cisco Certified CCIE Trainers - All the trainers at Network Bulls are Cisco CCIE Certified and know every step of the journey of clearing CCIE Trainers. They train the students with their experience and share them with the knowledge of what to do and not to do in the examination. 24*7 Access Labs – It is a well-known fact that the lab practice is the key to clear any CCIE Examination. Henceforth, Network Bulls provide 24*7 access to its labs. Students can come at any time of their as per their feasibility and practice in the labs. Well-Equipped Labs – It is imperative that you practice on the latest version devices only. The Cisco Lab examination is on the latest version of devices and you can prepare yourself for that in Network Bulls Labs. Bootcamps – Understanding the hectic schedule of the professionals out there, Network Bulls organizes CCIE DC V2 Bootcamps for the students and professionals by Cisco-certified CCIE Trainers. CCIE Data Center is the connotation of success right now as the demand is enormous and availability of experts is less. It is the right time to strike while the iron is hot; start your preparation and let us know if you have any queries. 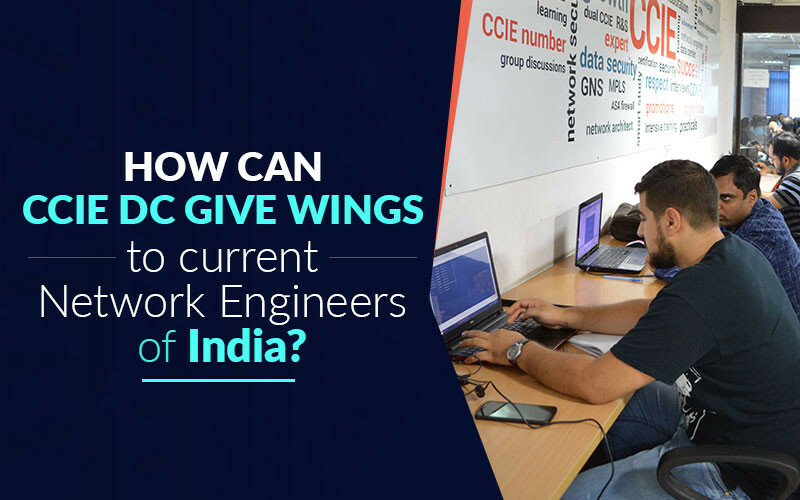 Download PDF How can CCIE Data Center Certification give wings to current Network Engineers of India?